We have an extensive library of written procedures to control every aspect of our operations. Not only how we compound every product step-by-step, but how we select, purchase, receive, test, and inventory all our ingredients. How we clean, sanitize and dry our equipment. How we train our employees. How we test, package, store and ship our products. 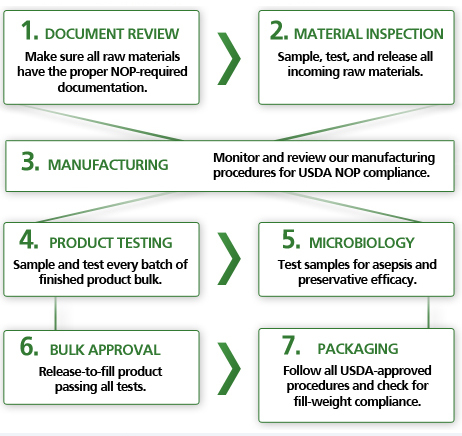 How we periodically review our compliance with our obligations as certified organic handlers. All to assure you that our products are the best.